This one fact, more than anything else, is good enough validation that we should always put our writing down long enough to come back to it with fresh eyes. The hope is that those fresh eyes will be confused by something/anything we wrote which does not make sense to the reader. One of my many editing places. The dock at the yearly Muskoka Novel Marathon in Huntsville, Ontario. If you put it down long enough, you become the reader. This is the part where I say how lovely it is to edit. Not everyone loves to edit, and, to be honest, my own relationship with it is probably love/hate at best. But when I love to do it, I really love to do it. This is never more true a statement as when I am editing my short stories. I suppose, because I understand intrinsically that editing is SO VITAL with short stories. I know it’s important with anything we write. And I also know that one could argue that every word counts in whatever we write, whether it’s as tiny as a haiku or as gargantuan as a big ole tome of a novel. Yes, of course all words matter. BUT…with the short story, EVERY. WORD. MATTERS. You only have so many words with which to build your entire universe within the confines of a short story. None of those words can afford to lead the reader astray. If you lead the reader astray in the limited universe that a short story entails, you will lose them forever. No amount of breadcrumbs will bring them back to the story in one piece. As READER, every breath you take inside a short story needs to count…needs to get you to the end fully intact and alive. Therefore, every word the writer uses factors into the measuring of the reader’s breathing pattern. That’s just a fact of language…one that writers cannot ignore. I recently stumbled on a line I had in a short story I was revisiting. I was attempting to get it submission-ready, but knew it still needed some work. For a good three or four minutes I tried not only to figure out what it was I originally attempted to say, but also to figure out how the line fit in with the narrative around it. Picture a basket filled with bright red tomatoes, with a great big juicy green Granny Smith apple right in the middle of it. I didn’t know how the apple got there and I couldn’t figure out a way to leave it there in the basket, surrounded by all those gloriously red tomatoes. I had the sense it somehow didn’t belong. All this to say PUT YOUR WORK ASIDE. Become unfamiliar with it. This is the best way to ensure you are saying all the things you want to say, in the way you want to say them. If you read it immediately after you finish writing it, you might READ WHAT YOU MEANT in your lines…even though the words on the page don’t match up with what it is you were trying to say. DISTANCE MAKES FOR BETTER EDITING. Thank you for coming to my Ted Talk. Now, if you’ll excuse me, I believe I have an apple to remove from a certain basket I’ve been eyeing suspiciously. Happy Writing. Happy Editing. Happy Friday. You know when you hear a phrase or music lyric the wrong way and it sometimes takes you years to figure out that you got it wrong? For me, one particularly idiotic example of this was the phrase WINDCHILL FACTOR. As a kid, I always thought it was WINDSHIELD FACTOR. I used to think the colder temperature was somehow measured by how cold it is on a car’s windshield…because clearly it would be a colder temp on the windshield of a moving car than a standstill temp. Right? It’s not that farfetched. So I thought somewhere someone had this thermometer pasted to their moving car and they called in the windshield temp to the local weather stations…just so we would, you know, know how cold it was were we to decide to travel on the hood of our car that day. Makes sense. This is going to be related to writing. I promise you. I figured out the Windshield thing pretty quickly. It only took me a few years. Sooner or later one opens their mouths in the wrong company and someone is going to call one out on their awesomely fantastic stupidity. I was slightly humiliated when corrected about the windchill thing, but I learned. I grew. Fast-forward to November 1984. The release of HATEFUL OF HOLLOW by THE SMITHS! Every single song on that album blew my mind so completely. It was perfection. But do you see what I did there? I called it HATEFUL OF HOLLOW. Actually, I called that album HATEFUL OF HOLLOW for the better part of 30 years. I had a poster of the album cover in my room all through the mid 80s. I listened to the album obsessively, so the sleeve and album cover were always laying around. And yet, after processing the title incorrectly that first time, I did it every single time I looked at it. Now, I like to think I’m not an idiot. But the evidence weighs solidly against me here. There it is. Plain as day. HATFUL. It was only in recent years that I noticed my error for the first time. And I can’t tell you how jarring it was to realize I had it wrong for SO MANY YEARS. Hateful of Hollow just made pure and unadulterated absolute sense to me. It meant something. When I first realized my error, I spent the better part of a day contemplating the meaning of the ‘new’ title. 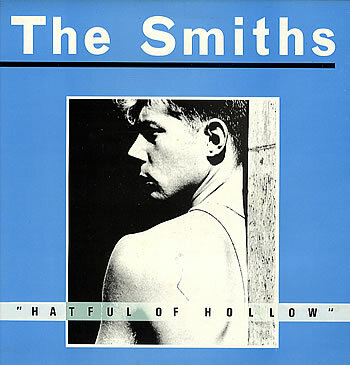 Hatful of Hollow? What the hell? That doesn’t even mean anything. It has to be wrong. Somebody must be playing this crazy trick on me. Of course I can understand the meaning behind HATEFUL OF HOLLOW. Anyone would be hateful of hollow. Hollow is our enemy. It is sadness. Ergo, we hate sadness. But this hatful crap? What the hell? Now let’s zero in on what this means to writers, shall we? Your intended sentence: I took the potatoes out from under the cupboard. What you actually wrote: I took the potatoes out for under the cupboard. Unless you’re extremely diligent, you could read that sentence ten times and not see the error…because your mind is correcting it. I guess essentially this means you’re glossing over it. But this is a real issue. It’s smart to edit your own work. Don’t get me wrong. You should ALWAYS edit your own work. But getting a second set of eyes on the manuscript is ALWAYS a smart idea. Someone else will catch the little things that make you appear sloppy if they’re not caught. I’m not saying everyone should PAY for editing services. In fact, unless you are going with SELF PUBLISHING, I would suggest you NEVER PAY FOR EDITING SERVICES. You edit your manuscript to the best of your ability and then you have a friend/fellow-writer read it through for those glaring errors you’re always going to gloss over. If you’re submitting to an agent or a publisher, they are going to work with you on the manuscript. There is no need to spend precious money on an editing service. 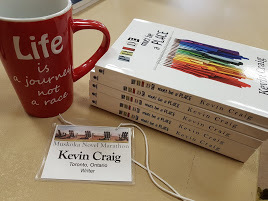 On the other side of the coin, I think one should always get their manuscript professionally edited if they are going the self-publishing route. You want to present the reading public with the most polished work possible.